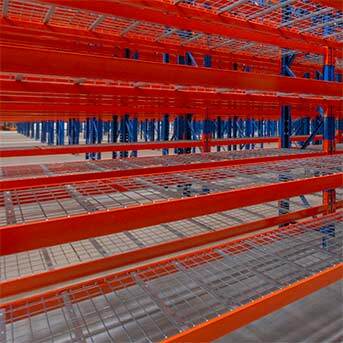 Wire mesh shelving and dividers complement selective pallet racking, long span shelving and other racking solutions. It gives strong support for boxes or other non-palletised loads, or loads not deep enough to sit on beams. A great alternative to MDF, wire mesh shelving improves light, airflow, and sprinkler access, while reducing dust build up and minimising fire risk. 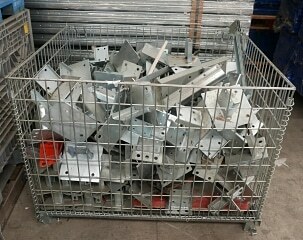 We stock a wide range of sizes, and can customise to suit your application and install it for you. Ideal for creating sections within your bays, clip dividers are easy to set up. Dividers can be made to run front-to-back or left-to-right, depending on your specific storage needs. 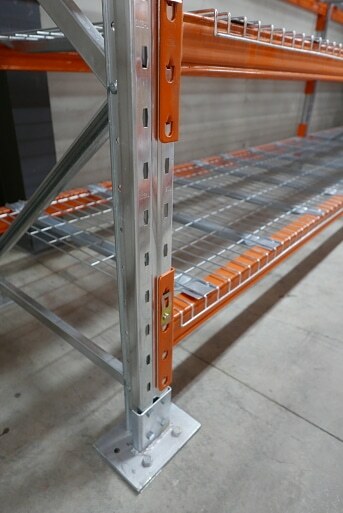 Racks hook easily onto decks above, providing easy separation of products between beam levels. Sturdy and durable, yet lightweight, wire containers or cages are invaluable when you need to store and move products in volume. Wire containers can even take the place of pallets in certain applications.